Bill Simmons’s new venture, The Ringer, was announced on Wednesday, and the site's editor-in-chief Sean Fennessey gave SI.com an exclusive interview. The website that will be the exclusive home to all of Bill Simmons’s written material revealed itself on Wednesday when Simmons, the former editor-in-chief of Grantland, announced he would front a new site in late spring or early summer called “The Ringer.” The editor-in-chief of the new site will be Sean Fennessey, who previously worked as the deputy editor for Grantland, and as writer James Andrew Miller reported in Vanity Fair last May turned down Grantland’s editor-in-chief role after Simmons left ESPN to work for Simmons’s new digital venture. Simmons also announced that Bryan Curtis, who covered sports media and college football at Grantland and two former Grantland editors, Ryan O’Hanlon and Danny Chau, had joined their old mates at The Ringer, a group that includes former Grantland editors Juliet Litman, Mallory Rubin and Chris Ryan. In an exclusive interview with Sports Illustrated, Fennessey outlined the vision of The Ringer—the content will be a mix of sports, pop culture, tech writing, food and drink and possibly national affairs—as well as staffing levels and goals. He also addressed publicly for the first time why he turned down ESPN. ​SI: How would you describe what the content of The Ringer will ultimately be? Sean Fennessey: I think we are going to attempt to capture the spirit of Grantland without limiting ourselves to only the categories that Grantland covered in the past. It is important to us to respect and appreciate the work we did in the past, and there is a reason a lot of our early hires are former Grantlanders. By the same token it is silly to think that site was perfect. We made plenty of mistakes. It has been really nice the way people talked about the site but we always had an appetite to do more things and different things. I think you will see that reflected in this site. I think you will see a lot more active tech and Internet culture writing. I think you will see food and drink writing. We are having a conversation about national affairs, something we are not settled on but it might be a category for us. In addition to that, when Grantland started it was just a website. With this company that Bill is launching, it is a podcast network, working closely with the television show, and maybe there is more to come beyond that. It is more than just the website but we are specifically tasked with making something that is in the spirit of Grantland but simultaneously more ambitious. It’s also important for me to identify that we want to be more responsive than we were in the past. The work we did at Grantland was great and we took our time with it, which was one of the things that really made it valuable and thoughtful. But we always thought that we were just an inch outside the conversation. We want to be a little more active participants in the conversation on the web. SI: So if I extrapolate that: You want more commentary on real-time issues to appear on The Ringer? SF: Yeah, I think that is fair to say but it’s also the speed in which we respond. I think we want to have a group of young writers that can move inside of the news cycle more quickly than we did in the past. We will still have great columnists. We will attempt to have elite feature writing. Those are hallmarks of what we did in the past and totally meaningful to us going forward. But I think we need to move a little quicker given the way consumption works and the way mobile has transformed content. We need to be more nimble. ​SI: One of the areas you did not mention above was sports. At this point, even philosophically, where does sports coverage fit into The Ringer? SF: I think anything Bill Simmons does, the tip of the spear is always going to be sports. That is a totally major element of what we are doing and when I say we are going to be doing things in the spirit of Grantland, it means sports, pop culture and now technology and food and drink and whatever else topics we identify. But sports is a major part of what we do. It is a sincere passion. It is elemental to what we will do. SI: At this point, do you have any kind of percentage breakdown regarding what on the site be it video versus text versus podcasts versus other forms of media? SF: I can’t say for sure right now. It is something we are literally meeting about literally this week. I will say we will have a full offering. There will be a multiplicity of story types and some of those will be really brief stories, some of those will be really long, some of those will be a smash-cut video and some will be documentary that we take a lot of time on. I expect there to be a broad palette. 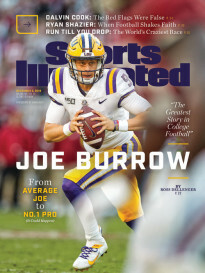 SI: What kind of pieces do you anticipate Bill writing? SF: I can’t say for sure. The [HBO] show is very important to him and us too. So given that, we want him to have as much success as possible. Anything Bill writes would be wonderful but there is no expectation numbers-wise as to how many pieces he will write. SI: So at this point it would be premature to say weekly, or monthly or bi-weekly? SF: I think you would really have to ask him. ​SI: Do you have an ideal launch date in mind? SF: There is no ideal date. There are some desired dates but I would rather not put a specific time frame on it. We are focusing on identifying how we can do good work and hire the right people. If we don’t have the right people or team, then we won't launch just to launch on a specific date. I think Bill identified late spring or early summer as kind of the time frame and that is loosely what will are working with. SI: At the moment, how many staffers are working at The Ringer? SI: How many more hires do you anticipate? SF: Can I say a lot without putting a number on it? I think we want to have an ambitious organization. That might take 12 months. That might take 24 months. That might take 36 months. It’s not going to be a small team. But we want to be wise about identifying talent. One of the hallmarks of Grantland was—and really it is one of Bill’s true gifts—identifying people who don’t have a light shined on them and giving them a real platform. He is sending me emails featuring the work of young writers saying “Who is this?” and “Why does this person not have a bigger platform?” That is more important to us than having say X number of employees. It is more that we have the right number of employees. SI: Will the staffing levels at a certain point match Grantland [around 50 or so staffers if you include the writing staff] or be smaller or larger? SF: Genuinely hard to say. I don’t know. I know what it takes to make a great site and I know resources was always something that Bill thought about and that [editorial director] Dan [Fierman] thought about and I thought about. You want more because you want to do better and more ambitious work. But I am genuinely not sure how many people we need because maybe five years from now we are covering an entirely different category. SI: Are you actively talking to former Grantland staffers about working for you? SI: Do you anticipate some of your future hires will be people you have previously worked with at Grantland? SF: As you saw from Wednesday’s announcement, we definitely have identified some people already and particularly on the editor’s side. The one thing that is true is that the bonds between the editors and writers at Grantland were very strong and a reason that everyone was emotionally connected and philosophically connected was that they were genuinely connected as people. In certain cases if people are at the right stage of their career and want to work with us again, that would be great. If not, that’s totally great, too. ​SI: Who makes the final decision on hires? SF: Ultimately, this is Bill’s enterprise at the top. But I will say he is very collaborative with these things and he really trusts me and [president of the Bill Simmons Media Group] Eric [Weinberger] and everyone on my team. While Bill has the final say to say yes and go out with an offer, there is never a time where he unilaterally makes a decision and forces it upon anybody. He is very collaborative. SI: Why was it called The Ringer? SF: Naming things is very hard. The bad answer is that it was the best name we could come up with. The good answer is hopefully there is a little bit of double entendre at play and that we are simultaneously trying to wake up some people who do not have the video and audio and reading experience that they want to have after Grantland folded. Also, we are coming in off the bench and hoping to make some noise. I’m hoping some people don’t see us coming. SI: Does the site have to make money? SF: Make money is very loose term. This is an entire organization and it is not just a website. Given that, I think it would be nice for us to make money. I don’t know what ‘have to’ means. SI: How is the site being funded? SF: I can’t really get into that at the moment. SI: Is it fair to say that you are at a financially healthy place to launch the site? SI: How will you determine success What are your metrics? SF: Quality work and an engaged readership. Metrics are an ever-evolving thing. There were a lot written about the metrics at Grantland and I suspect there will be about the new site but we are basically focused on doing good work. Doing stories that we know connect with people, writing columns that activate people’s imagination. That is what is most interesting to us and there is a way to know if that is working than just relying on page views. That includes social interaction and the way stories are recognized. SI: Why did you turn down ESPN president John Skipper when he offered you the job of editor-in-chief of Grantland after ESPN opted to part ways with Bill? SF: All I can is Bill offered me a job I found difficult to turn down given how much I liked working with Bill in the past, and given the opportunity to work with some of these other people in the future. I can say six or so months removed from that moment that I feel thus far I made the right choice because I am having an incredibly creative experience and that was thing that was most important to me personally. I also genuinely think it is rare to be able to start fresh and to think about the mistakes you made in the past and to reinvent a little bit. That was the number one reason. SI: How did you feel about Grantland closing after you and the editors that had worked there left to work for Bill? SF: I thought it was a shame. That is all I can say. I thought it was a shame that they closed it. The people who worked there were phenomenally talented and I know up until the very end were working incredibly hard and still making a great site. So I thought it was a shame. SI: I want to make sure I characterize you correctly. It is your opinion that ESPN should have tried to continue that site after the people who left the site left? SF: I don’t have a comment about that because I don’t really know enough to comment on it. SI: How much of a competitor do you see ESPN? ​SF: None at all in so far as what the core of their business is and what the core of our business is. I have enormous amount of respect for them as a company. I think the kind of work we will do will be a little bit more voice-ier and more personality driven. But by the same token, this is a start up and ESPN is a global brand. They are a TV company and increasingly a massive digital organization. To think of them as competition would be a misnomer. SI: Who do you expect will be The Ringer’s readers? SF: Genuinely curious fans of sports culture and the Internet. I think people who want to be entertained, people who want to be informed. Our audience in the past skewed young and I am hopeful we will continue to excite young readers. But there will be things for all kinds of readers. I think the notion of how you write about things is changing very quickly and targeting a specific audience is dangerous. I think we will—at the risk of being vague—trying to be as thoughtful as possible. SI: One of the things that was unique about Grantland was the site was unafraid to send writers anywhere for interesting pieces. Will The Ringer have those sensibilities and travel potential? SF: Yeah, I don’t see why not. I could not give you a specific example but we will be ambitious. I think it has to be the right story. Given the startup nature of this, we want to be wise from the assignment stage to the reporting stage to the editing stage through publish. SI: Will The Ringer eventually add more podcasts given Bill’s fondness for the medium? SF: I think that is fair to say. SI: One of the notable things when Grantland launched was you had a lot of big name writers come in—from Malcolm Gladwell to Chuck Klosterman—to give the site a little bit of a boldfaced name imprint. Do you expect the same when it comes to The Ringer? SF: I honestly don’t know. I am hopeful we will have talented, well-known, respected writers contributing. It is something we have discussed. But given the media environment when Grantland launched and how different it is now, and also the notoriety of a lot of the people who are involved now and may be involved in the future, I don’t think there is necessarily a reason to build that sort of Hall of Fame ring when the site launches. If they want to contribute, we would more than welcome them but we are also really interested in finding as many young and talented people as possible. I don’t want to lose sight of that at the outset. I think we want to create as much an intellectual democracy as we can. 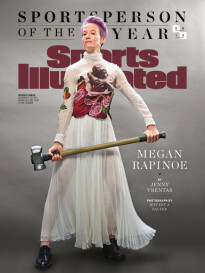 SI: There’s clearly a base of former Grantland readers who desire to go to somewhere similar to get thoughtful content. At the same time, you obviously want The Ringer to be something different, something new, and something that feels forward thinking. How can use your status as Grantland alums to get Grantland readers without claiming this is Grantland 3.0? SF: It’s important to us that this is not Grantland 3.0 given how focused we are on the future and trying new things. That being said, if you enjoyed Bryan Curtis’s writing, Bryan Curtis is not transforming into a new human. If you liked reading Chris Ryan or hearing him on a podcast, you will still be able to get that. I think there is a tone that we perfected at Grantland that we will strive for here and is difficult to do. It is identifiable to a certain kind of reader and I don’t think we will have to work that hard to re-integrate people into our universe.